Karen#1 wrote: Tony Ortega blog today. Please watch the video of them throwing money up in the air and cackling. Throwing cash in the air, "wasting" it and laughing while scamming every last dime of your net worth is a Scientology cultural thing. Cult drama. I just want to add a couple of things to this. When I was a staff member, senior staff members would often refer to money going to Scientology as 'theta.' So there's another definition of 'theta' for you. Theta: money going to Scientology. Hey, Oxford defines the words in its dictionary based on usage. What's a thetan then? A being made out of money then? Maybe another word for 'whale'? Aside from the emotional tone level of absolute gleefulness, doing things like this with cash is supposed to be something of a havingness process for staff members. 'Havingness' is a Scientology word. Many of Scientology's special words are obtained by adding 'ness' to them. Examples: 'beingness', 'doingness'. I suppose Hubbard never got around to doing it twice. For example, 'havingnessness'. The people involved in Scientololgy are not allowed to read books like this and they don't read them because they are told criticism of Scientology is entheta. When you read a book review it is assumed that the reviewer actually read the book. This is not the case with people involved with Scientology when they review books that are critical of Scientology. Here's one thing, how can Ian Jones know the book is full of falsehoods if he hasn't read it? By the way calling for an investigation of a person or entity critical of Scientology is Scientology's scriptural policy. 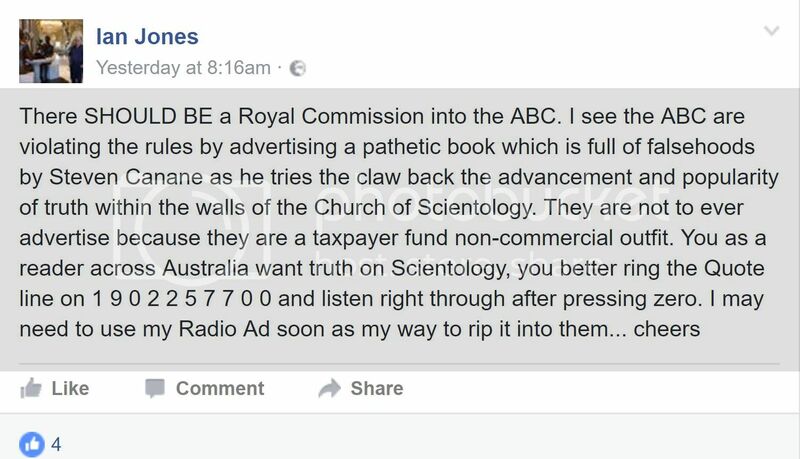 "There SHOULD BE a Royal Commission into the ABC." This kind of statement eventually results in people involved with Scientology looking like unthinking knee jerk stimulus response individuals, which is essentially what they have become under Hubbard's guidance. Scientology Inc has many *watchers* even on never ins. This is because it is the Jerry Springer show of Religions with its bizaare and off the wall conduct. 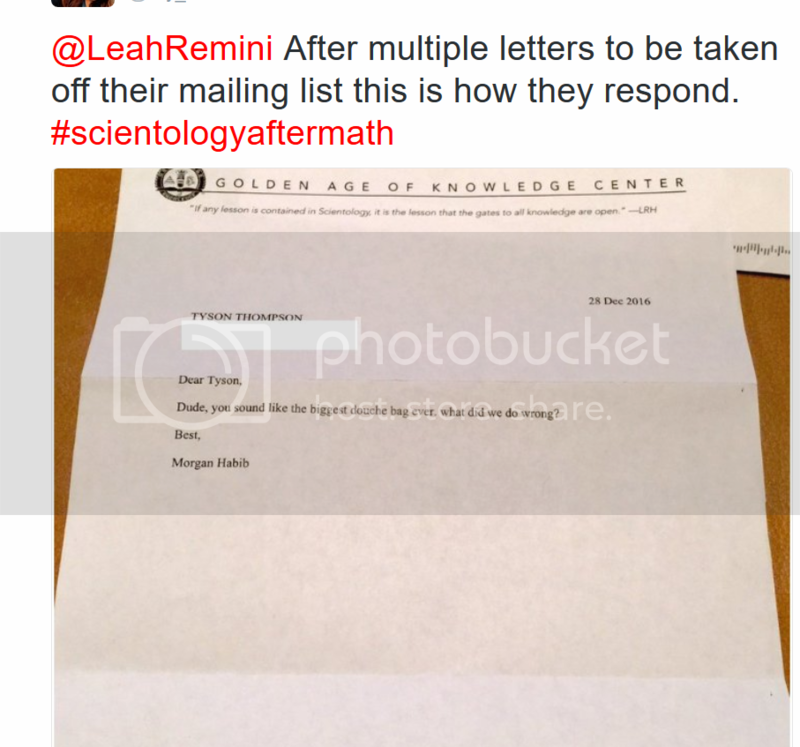 Now see their venomous attack on Leah Remini. What "cherch" carries on like this ? The Daily Mail weighs in. Attention ! 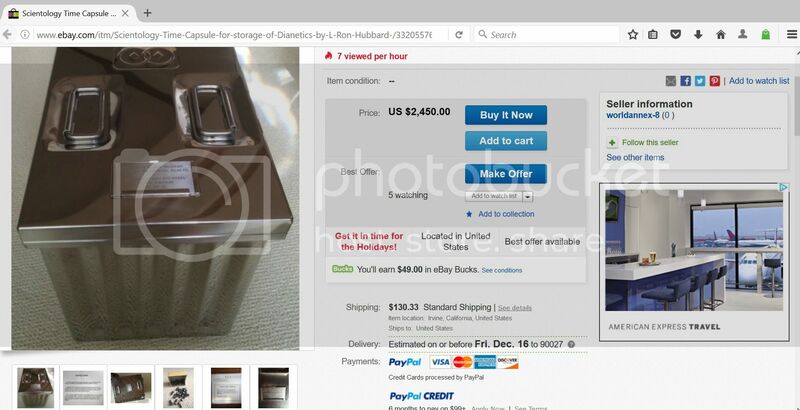 For only $2450 plus $130 shipping you can own a Scientology Time capsule. Imagine a clandestine Super Sekrit object in a Super Sekrit location that must never even be SPOKEN about within Scientology or you will be knowledge reported ! How could this be so ? On Ebay, no less. This is a Stainless Steel Time Capsule manufactured by CST (Church of Spiritual Technology), which is the branch of Scientology in charge of preserving and protecting the Scientology technology and materials for eternity. For this purpose, all books ever written by L. Ron Hubbard, were etched on stainless steel plates, which are then kept inside these time capsules, sealed and stored in underground vaults. This is a limited edition, No. 25 of 25. This particular capsule was designated to store the book Dianetics: The Modern Science of Mental Health. This listing is for the box ONLY. It includes two lids, one is sealing the capsule with titanium bolts (included) for long term storage. The media no longer fear the Big Bad Wolf and they thumb their nose at the *office of Special affairs" lawyers and Tom Cruise Lawyers. Now using insinuations and innuendo to TROLL the cult. ROFL ! ....and teasing that Nicole Kidman tell all book is coming ! Ancient knights were part of the Christianity power structure and would have persecuted any group resembling CoS.
Leah Remini is.....Everywhere ~~ And the Daily Mail never misses a beat to weigh in. Talk about the Billboard Game ? YOU *CANNOT* live in LA and not travel on the 101 past this Cahuenga exit. Acknowledgement and Thank you to Rod Keller for this one. It has the tone and authority of a Golden Rod but is actually an invitation ???? When I was on staff into the late 1970s, one paid for the OT levels and then went and did them. There was no requirement to be invited. If there was I think someone who had gone to do them and come back from that would have said something about it. I was away for a while and when I went back one needed an invitation to do the OT levels. When did that happen? Did it happen while Hubbard was alive or did it come later? Or was it always the case? If answering means starting a new thread, please, do that. Sometimes the Cult appears unhinged or on a meltdown. Their venom defines them as a hate group. On Twitter they are hyperventilating on Leah, however Leah has a tremendous following and support. Karen#1 wrote: Sometimes the Cult appears unhinged or on a meltdown. Their venom defines them as a hate group. On Twitter they are hyperventilating on Leah, however Leah has a tremendous following and support. When I was on staff for Scientology, on the public lines, rubbing shoulders continuously with raw public, It was always at the forefront of my mind that I represented the organization. If the organization had paid better I would have done a better job at representing it, you know without really old clothes and shoes with holes in the soles. But I knew better than to put an opinion like that in writing on the organization's letterhead and sending it out to someone on behalf of the organization. In those days no one had scanners, digital cameras or the Internet to immediately share this kind of thing with, what, potentially four billion other people. So sea org staff member, Morgan Habib, commits a big PR blunder in putting that in a letter to go out to a public person, and then the staff member in the office of special affairs who is supposed to vet letters out, either misses this one, or reads it and decides it's reality and lets it go out rather than holding on to it and at the very least issuing a cramming order to Morgan Habib, to at least star rate the policy letter titled, Manners. Aside from being seriously out PR this letter is off policy. Right now, as I write this, I'm laughing at this comedy of errors. No joking and degrading? Really? An Essay on my thoughts on Scientology Inc. 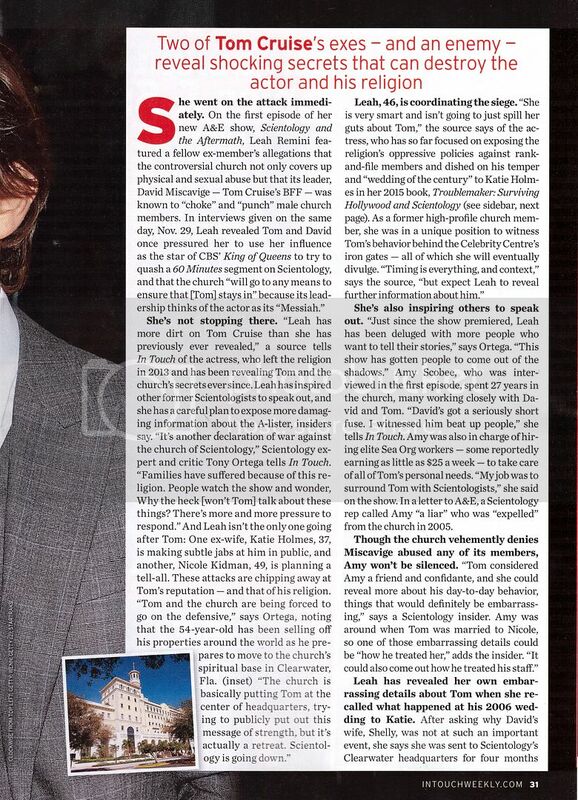 I think I can state very clearly and articulately what makes Scientology Inc different from any other religion. 2) While other Religions often try to make a person MORE aware of their CONSCIENCE, the "Church" of Scientology uses a whip to control, dominate, make wrong and harm its publics while masquerading as a Church. It pretends technology to handle sins and transgressions but actually monetizes and weaponizes this for political and intelligence purposes. The weapons of MASS SEDUCTION where the "Church" gets all the revenue and you end up enslaved as a "Scientologist in good standing" who cannot think for yourself, cannot befriend who you want, cannot talk to or connect with family if the Church says you cannot and end up as a miserable mind controlled victim. There is a systematic destruction of the family unit. One horror story after another emerges of families split up while family members are encouraged to snitch and rat on each other to the "Mother Church." 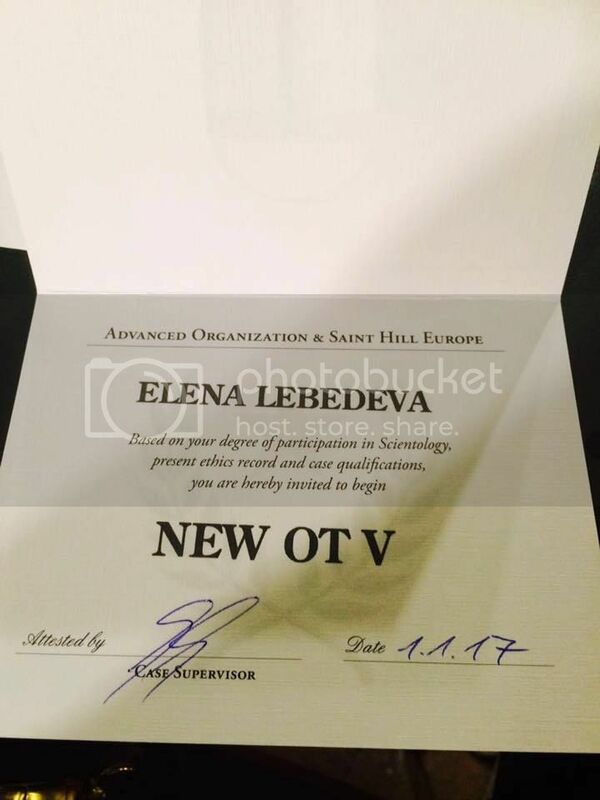 3) Scientology Inc is completely free of any internal restraints to do as it pleases if it is "the greatest good" for the Church's survival. This is a strange advantage over others who do have a conscience. The "Church" lives to indoctrinate that if you think anything negative about the "Church" ~~ why ~~ it is YOU that are full of Black Propaganda, Enemy Lines, Critically and natter = YOU the thinker, must have CRIMES ! This no-conscience whatsoever on the outcomes they create trickles right down to NO REFUNDS of unused money they are holding on account. NO refunds of service and hours even when they greatly mess up that counseling which can cost as much as $800 to $1000 an hour. The new trick is to SP declare you when you ask for refund, and then say you are not eligible to do the Refund Request Routing Form (per policy) because you are already a Declared Suppressive Person ! In most large companies, entities, corporations, services, if the service given is very bad or negligible or even harmful, an entity with a CONSCIENCE would offer a refund, or a re-do of what what messed up. But not the "Church". You pay in a new unit of time to REPAIR what the "CHURCH" messed up in the first place ! 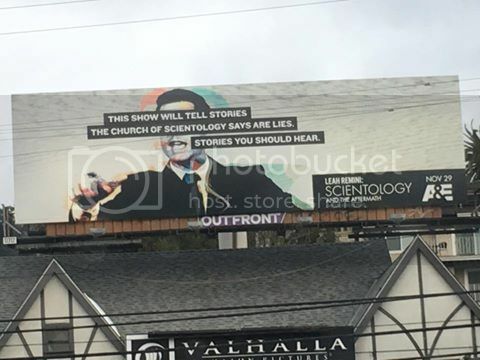 The "Church" of Scientology craves money and power over its flock (but above all money) pursuing political communication lines and opinion leaders but does not have a nagging conscience that normal people have which would prevent them from doing anything and everything to succeed even when it greatly harms others. Scientology Inc considers itself unassailable, unimaginably globally successful. But it cannot operate above the Law forever. A Bank robber can get away robberies 53x. He feels invincible. But the 54th time he makes an error and the FBI swoop in and he is charged with all the back crimes he got away with. You cannot fool *everyone* FOREVER.